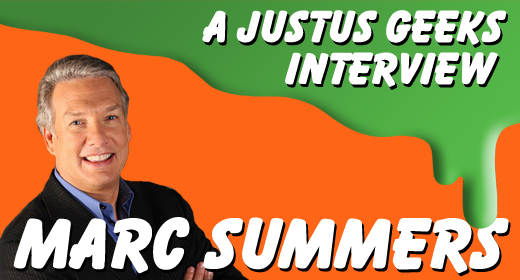 Another JUG Interview: Marc Summers! Check out our interview with Marc Summers! Marc Summers has been a personal hero of mine for a long, long time. If you were a kid of the 80’s or 90’s, Marc Summers was more than likely a daily part of your after-school life. I recently had the opportunity to speak with Marc Summers. [Note: This was an early morning phone call – 7 AM PST – and this was recorded via Google Voice; the quality is what it is.] We’ve had the opportunity to talk to some incredible people, but to be honest, I was more nervous about this opportunity than any before. Marc talks about his early career, how he came to host Double Dare and the impact it had on our generation, and some things he is currently working on. From this Host to the Greatest Host of All Time, I am incredibly grateful to have had this opportunity. Make sure you tune in Wednesdays at 9 PM|8PM on Food Network for Restaurant: Impossible, which is produced by Marc Summers. Dude! I loved Marc Summers. How awesome!